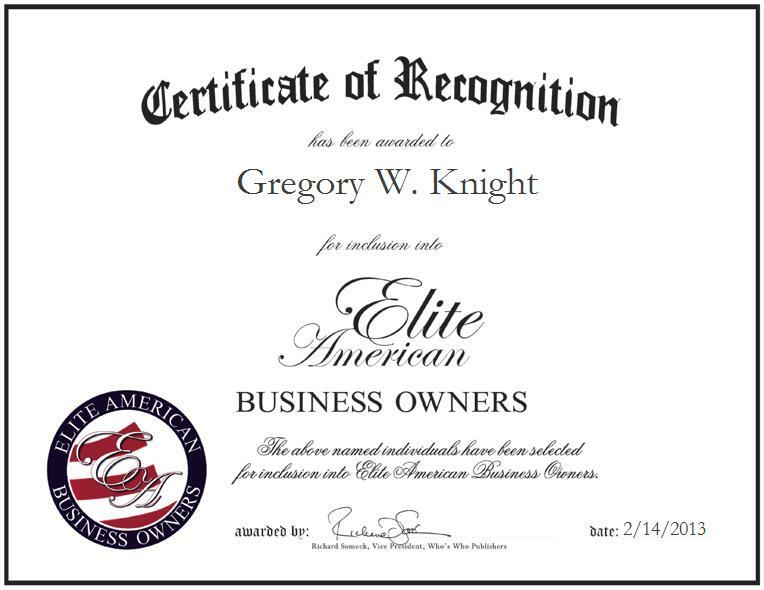 LAFAYETTE, LA, February 14, 2013, Gregory W. Knight, Owner of W. Knight Advertising, has been recognized by Elite American Business Owners for dedication, achievements, and leadership in product marketing and design. At the helm of a premier advertising agency based in Lafayette, La., Mr. Knight shines as a luminary in his field, bringing forth his strengths in product marketing and design. He currently introduces products to the market, works with startup companies, and manages design, production and packaging. He is also in charge of initializing the launch of new products, focusing on hunting and outdoor sports, handling on-site projects and retail displays, and preparing for the next campaign. With more than two decades of professional experience, Mr. Knight makes the most of his background by ensuring that processes are always running smoothly and that his staff members are always learning. He oversees part-time employees, and negotiates with overseas suppliers and vendors. After accepting an internship with Hoffman Miller Advertising in 1992 and advancing within the company over the next 14 years, Mr. Knight made the decision to utilize the experience that he had acquired and to establish a business of his own.